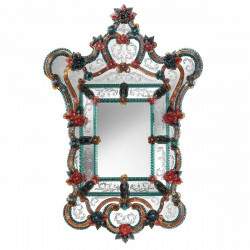 Authentic Venetian mirror with a glorious helping of amber frame and glass accents, finished off with authentic Murano glass with captivating Muranese engraving. 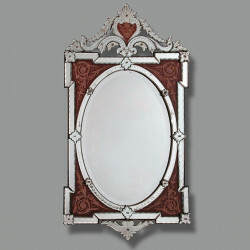 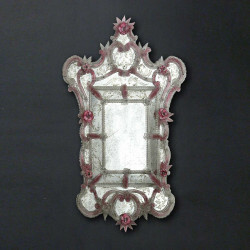 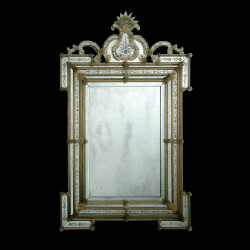 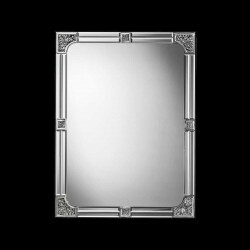 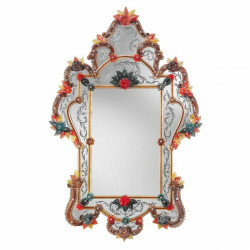 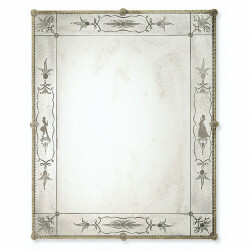 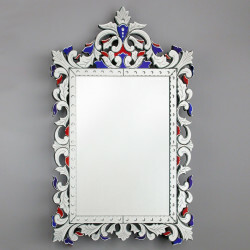 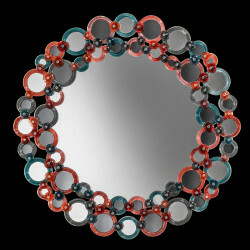 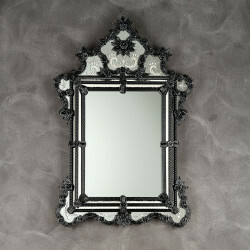 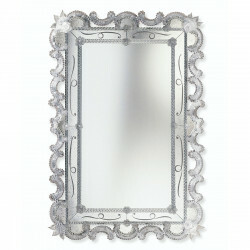 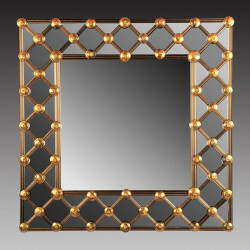 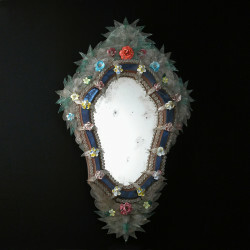 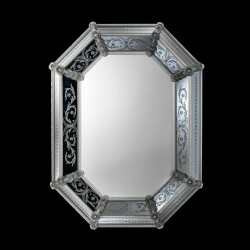 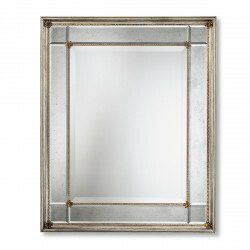 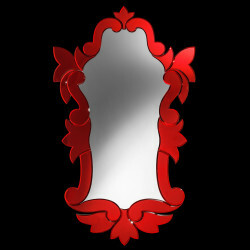 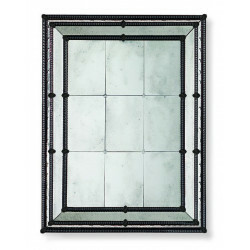 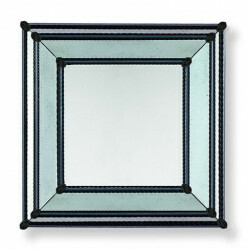 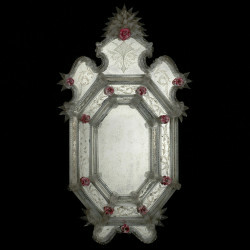 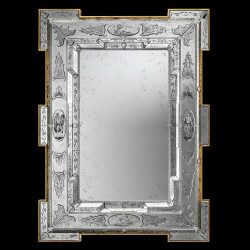 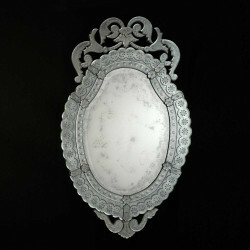 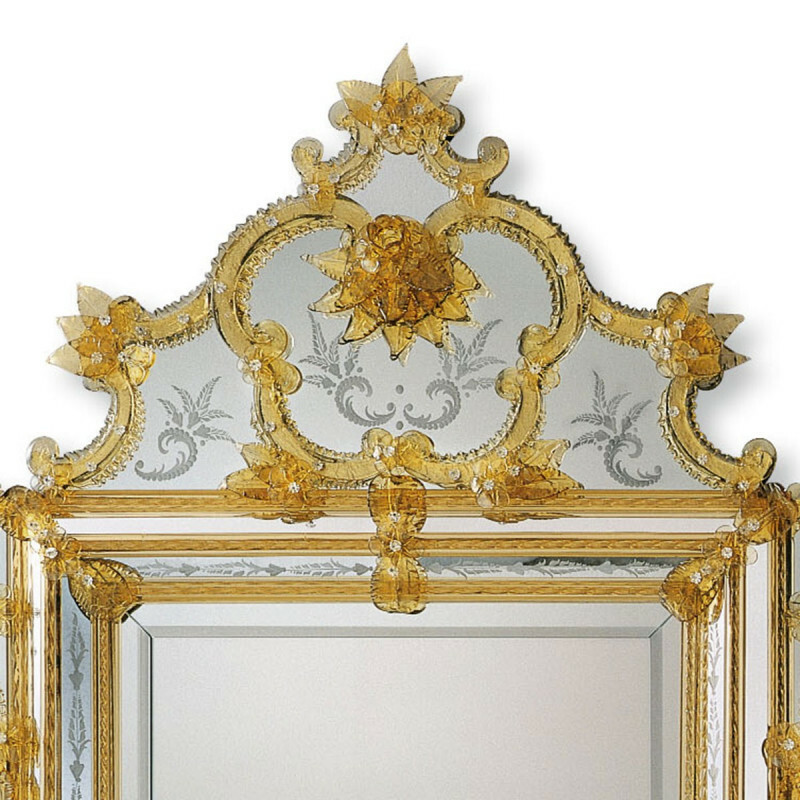 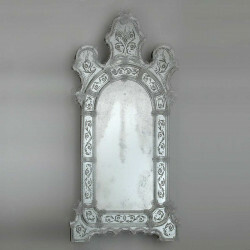 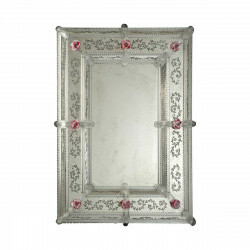 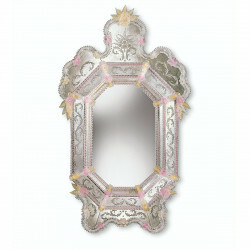 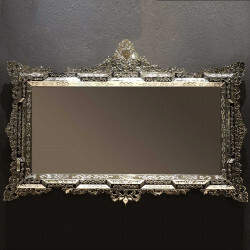 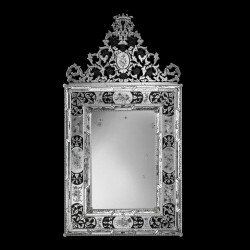 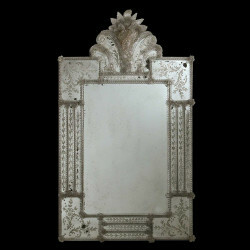 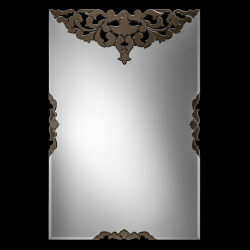 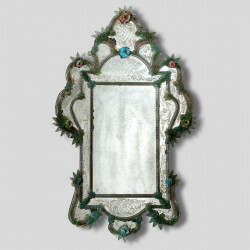 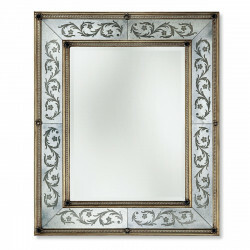 Decadent and precious, this original Venetian mirror will have any royalty want to have it. 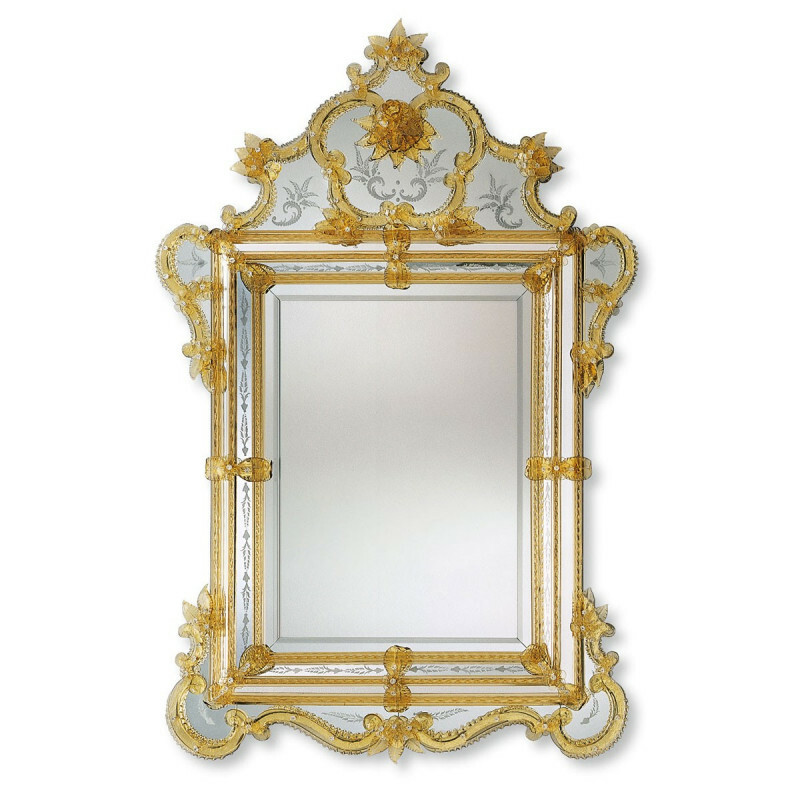 Exhibiting top notch Italian craftsmanship, enjoy the rich amber and light gold colors combined masterfully with hints of gold glass pendants and floral accents. 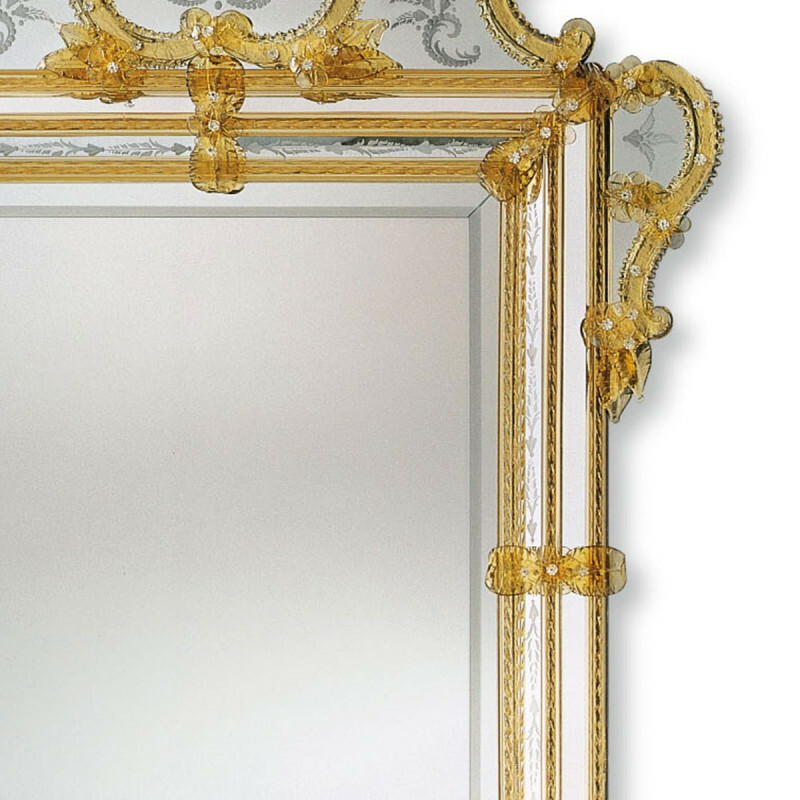 The authentic Murano glass implemented on the mirror and the panels are made more precious with the classic Muranese hand engraving.